Images claiming to show the rumoured Huawei Ascend W3 have appeared online, revealing a high-end Windows Phone 8 device. We've already seen numerous reports regarding the budget focussed Ascend W1, but the Chinese firm is yet to confirm or deny the existence of that, or any other potential Windows Phone 8 devices. The latest snaps come courtesy of Chinese site WinP, and show are large-screened handset running Microsoft's latest mobile platform. According to details added to the calendar app live tile, the Ascend W3 will sport a 4.5-inch display and measure 132 x 67 x 10mm, while round the back details next to the camera suggest it will sport a 8MP resolution and record 1080p video. We remain sceptical about these specifications, although we can believe that Huawei is planning a range of Windows Phone 8 devices, plus the origin of the photos is unknown. 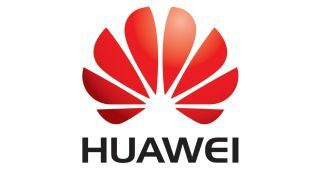 Word is that Huawei is waiting until CES 2013 to announce its Windows Phone 8 devices, we just hope that's not too late as Nokia, HTC and Samsung will all have phones available by then.